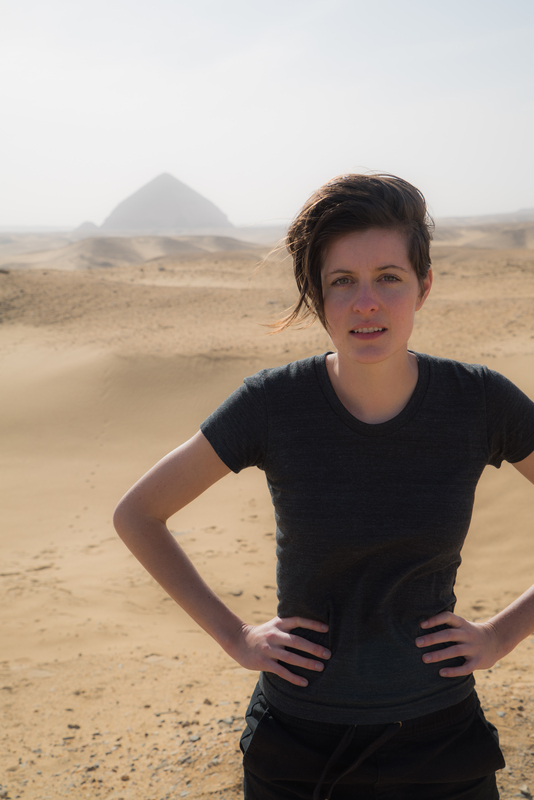 Tonight at 11 EST on HBO, the VICE series takes on the problem of antiquities looting in the Middle East. A typical VICE episode combines two 15-minute reports with great camera work and a good investigative approach. As others have pointed out, the series does a terrific job showing us reports of what is happening in, say, Kashmir, or with human trafficking in China. It leaves to the audience to answer the question: what do we do about this? In its 15 minutes running time the report on antiquities looting breaks new ground. It manages to take us from the site of the looting, starting with economic conditions, and finishing with the middle men who sell these objects all the way through to the customs warehouses and auction houses in New York. Its an ambitious arc to tackle, but the producers manage to give a complete picture of the many problems which lead to the looting of archaeological sites and the way segments of the trade skirt the rules. A middleman even gives us an estimate of how little the looters themselves make off an object which is smuggled abroad. The primary focus is Egypt, and starts with the souvenir stalls at the Pyramids at Giza who are hungry for customers. 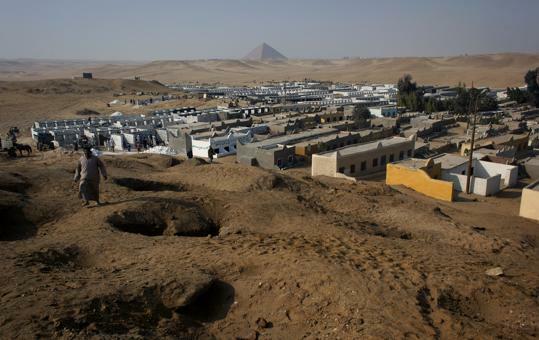 Tourism we are told has all but ended in Egypt. It is the economic condition in the region, combined with the overstretched/inept/corrupt authorities inability to police sites that make it possible to loot. And the objects find willing buyers at auction houses and on the internet by using falsified histories. The program even manages to interview some looters, follow some down a massive (and dangerous) looters pit, and shows us the sad room where the antiquities ministry in Egypt is attempting to repatriate the huge volume of material which has left the country. Even Zahi Hawass makes an appearance doing what he does best, giving a great line to the camera, lit from below, in his favorite “Indiana Jones” hat, exclaiming how important it is to save all this material. The camera work is stunning, showing us looting and the devastation it leaves behind so quickly that the viewer who is unfamiliar with the sites and locations will have a hard time keeping up. And maybe that is the point. As many of my colleagues look to tie terrorism and other nebulous evils to the antiquities trade, the VICE report does one better. Rather than make these cheap connections which are sure to evaporate with the advent of the next global threat; by showing us the daily lives of Egyptians and the incalculable loss to our collective human history; the people and history demand more attention, more resources, and better policy. Its well worth seeking out, and will bring a rare thing to the problem of antiquities looting, a well-reported and accurate picture of a troubling problem which is only getting worse. The report is timely too, particularly as the Middle East Institute and the Antiquities Coalition are co-sponsoring a conference in Cairo from May 13-14 to discuss the economic and cultural impact of antiquities looting in the region. Here’s a taste, a short interview with Monica Hanna at Abal Sir Al Malaq Cemetery, with a disturbing number of looted graves, with human remains and burial shrouds laying out in the open where looters discarded them. I’ll be presenting a short paper on the Ka-Nefer-Nefer forfeiture case at the Society for American Archaeology Annual meeting this Saturday morning. Our panel is scheduled from 8-10.15 A.M. in the Golden Gate 4 room of the Hilton San Francisco Union Square. 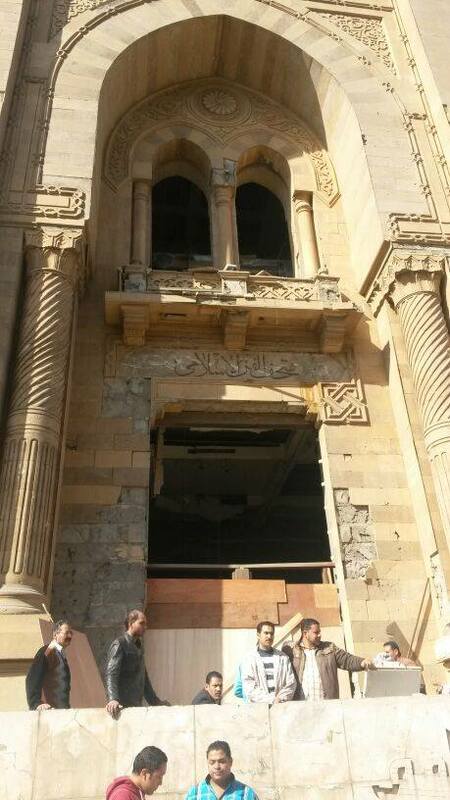 Syria: Cultural Property Protection Policy Failure? Unfortunately, the hanging ceiling at the museum collapsed due to the explosion while several of the objects such as those of glass and ceramics have been seriously damaged. The museum dates back to 1870 and as can be seen from the images, its front face has been seriously affected. In Dar el-kutub behind the museum, 8 manuscripts have been destroyed and several others damaged and are currently being transferred to a safe place. There may be more risks to museums in the coming days. January 25th marks the three-year anniversary of the Revolution of 2011 which ousted former Prime Minister Hosni Mubarak. It also led to increased looting of remote archaeological sites, and coincided with thefts at the Cairo Museum of Antiquity, along with other incidents of damage, looting and destruction. 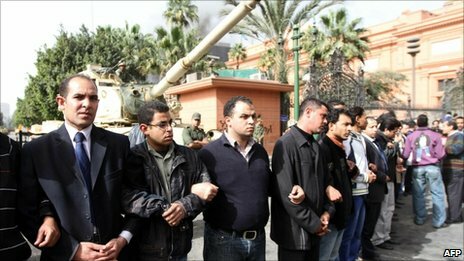 But there were also examples of Egyptians standing up and shielding their own heritage from destruction. The Museum of Islamic Art was re-opened in 2010 after an eight-year renovation project. Have you seen Tutankhamun’s sister? 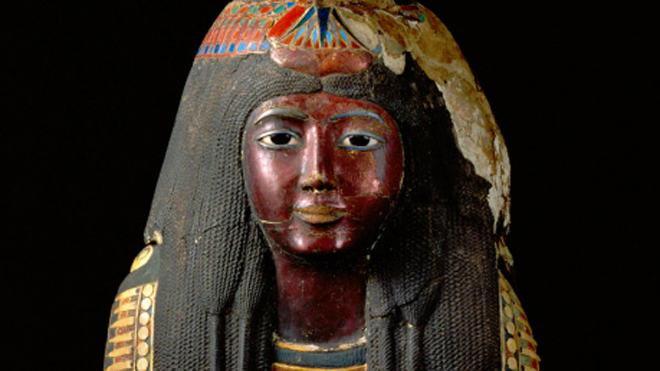 Egypt has issued an alert asking for the return of this statue of Tutankhamun’s sister. This and close to 1000 other objects were stolen from the Mallawi City Museum in Egypt in August. The publicity given to this object in particular is a very good idea, as it will likely drive down any possible licit market for this stolen object, and may perhaps compel its current possessors to return it and any other objects. There have been a reported 600 other objects returned, but there are many many other objects still missing. Egypt gave UNESCO a 300 page list in Arabic of objects which were taken. “We heard what had happened in Cairo and started to see the gangs gather,” said Jaihan Nessim, a curator at Mallawi Museum. It was clearly in a dangerous position, next to the city’s municipal offices and round the corner from the police station. Eventually the staff closed the museum and left it in the protection of the tourist police, but they were attacked and driven off. Within hours, the museum had been almost totally wrecked, with attempts to defend it beaten away. A ticket seller was among those killed in the unrest. The looting was continuing when Miss Hanna arrived three days later. Eventually, the provincial chief of tourist police, Col Abdulsamie Farghali, called members of his own family to stand guard while she and colleagues inspected the damage and took what could be salvaged to safe storage. She said she asked two teenagers what they were doing. “They said, ‘The government is destroying their people, so we are destroying this because it belongs to the government’,” she said. Of 1,089 exhibits, only 46 remained, items too heavy to carry off, and some of those were smashed and burned. Wooden sarcophagi simply split open. An Old Kingdom, 23rd Century BC statue of Pharaoh Pepi and his queen had parts of the faces broken off and its pedestal split. Spencer, Richard. “Tutankhamun’s Sister Goes Missing.” Telegraph, November 14, 2013. 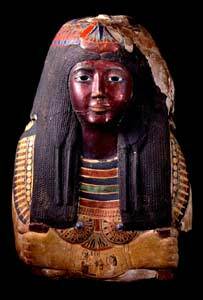 Author Derek FinchamPosted on November 18, 2013 November 15, 2013 Categories Antiquities, TheftTags Egypt, MallawiLeave a comment on Have you seen Tutankhamun’s sister? The story notes that the construction of new tombs, though illegal, may also be cover for looting. The piece paints a troubling picture. 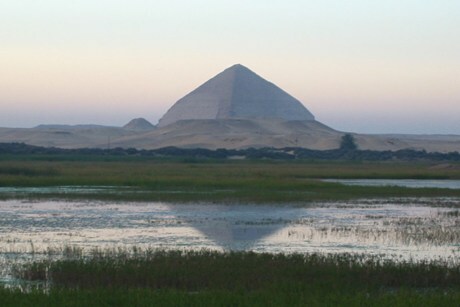 Consider the difficult time Egyptian officials must have had in protecting and preserving a site like this. They must weigh the concerns of angry local populations, be wary of the more dangerous antiquities looters, and also work to preserve the site. After the revolution and the theft of 50 objects from the Cairo Museum in Egypt last year, the New York Times reports that looting continues in a systemic way. 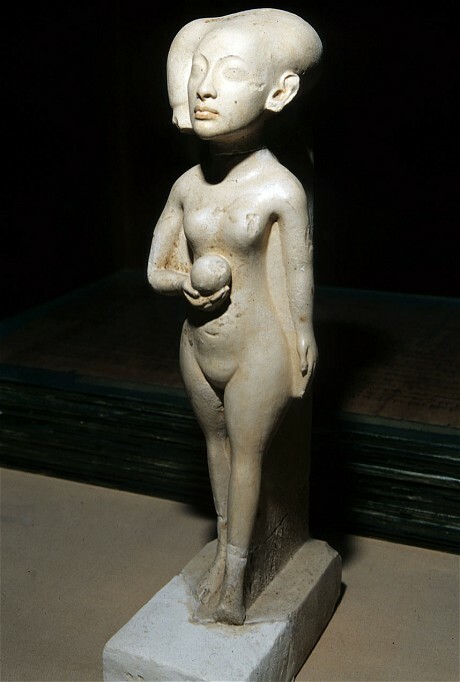 Of the stolen objects from the Cairo museum, 29 objects have been recovered, but many of the sites in the rest of Egypt are at risk to looters. Farah Halime, Revolution Brings Hard Times for Egypt’s Treasures, N.Y. Times, October 31, 2012, http://www.nytimes.com/2012/11/01/world/middleeast/revolution-brings-hard-times-for-egypts-treasures.html (last visited Nov 1, 2012). offer lessons for strategic protection of heritage? Erik Nemeth makes an interesting point in a special contribution to the Chicago Tribune. Rather than just consider what museums or ‘source nations’ lose when objects are repatriated; why not consider the gain and strategic benefit returns can offer to the returning nation or museum. And what other benefits might occur during armed conflict if heritage sites are aggressively protected? The political turbulence in Egypt, Libya and Bahrain has seen both looting of artifacts and destruction of monuments. Last year, citizens linked arms in front of the Egyptian Museum in Cairo with some success. This and other instances like it suggest potential for proactive protection of cultural artifacts, particularly in light of the U.S. ratification of the 1954 Hague Convention in 2009. 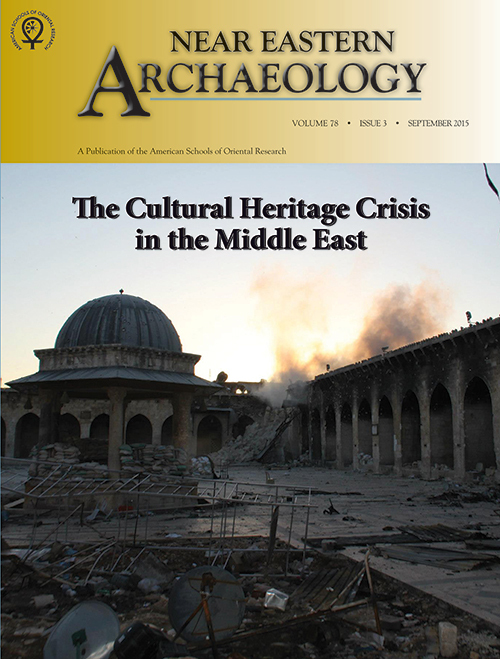 Indeed, U.S. foreign policy can parlay risk to cultural property into diplomacy by insisting that military interventions, even when the U.S. is not engaged militarily, include a strategy for securing museums, monuments and sites of archaeological significance that along with tactical bombing avoids collateral damage. America might also assess objects that are likely targets for repatriation and consider offering their return as part of a strategy for relations with the nation of origin. If engaged in conflict — or even if not — an active interest in protecting the local cultural property would serve the purposes of garnering political goodwill and creating an opportunity for communication with the local government and potentially the insurgency. Erik Nemeth, Repatriating part of Saddam statue could promote diplomacy, Chicago Tribune, June 7, 2012, http://articles.chicagotribune.com/2012-06-07/news/ct-perspec-0607-artifacts-20120607_1_hiram-bingham-iii-artifacts-collateral-damage (last visited Jun 10, 2012). Will US Attorneys Appeal after latest Ka Nefer Nefer setback? A judge has dismissed the federal government’s request to reconsider an earlier ruling dismissing the government’s forfeiture request for the Ka Nefer Nefer mask currently on display at the St. Louis Art Museum. Rick St. Hilaire notes the U.S. Attorney must now make the decision whether to appeal the ruling on to the 8th Circuit. The problem with the government’s initial case—at least in the district court’s view—was the government failed to allege the particular circumstances under which a crime took place as the mask left Egypt. This problem can be examined by referencing recent case law broadening the principle that looted and smuggled objects are considered tainted when they leave their country of origin, even in the absence of direct evidence of wrongdoing. I’m thinking for example of the Barakat ruling in the English High Court which offered claimant nations a broader platform of potential laws with which a nation of origin can claim theft. But in this case the federal prosecutors had a difficult prospect as Egypt was unable to offer enough evidence establishing a crime had been committed. So despite the research the SLAM conducted when it acquired the mask in 1998, the government was unable to offer enough to convince a judge to forfeit the object and force SLAM to make its case. It is an open question whether the district court would have taken such rulings on board, likely not. But an appeals court is in a more favorable position to make broader inquiries in the law based on policy and foreign authority. Author Derek FinchamPosted on June 4, 2012 Categories ForfeitureTags Egypt, Forfeiture, Iran v. Barakat Galleries Ltd., Ka-Nefer-Nefer, St. Louis Art Museum3 Comments on Will US Attorneys Appeal after latest Ka Nefer Nefer setback?